C43201-WH is rated 3.8 out of 5 by 4. 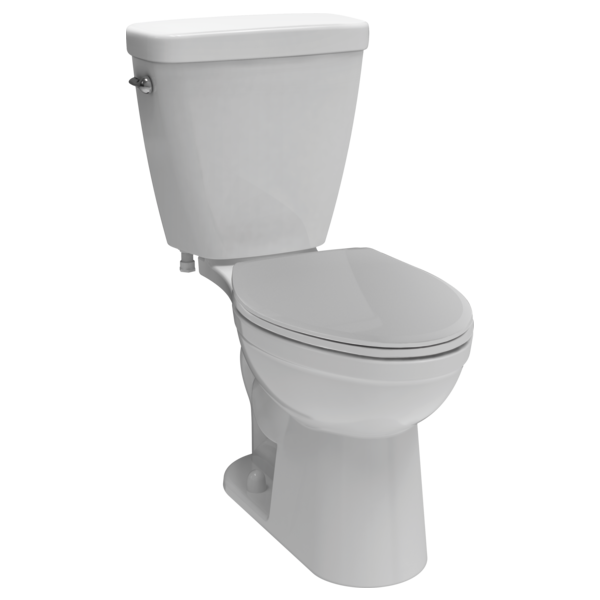 All Delta® toilet models offer ADA compliant comfortable Chair Height to make sitting down and standing up easier. Delta® toilet kit includes the tank, bowl, toilet seat, mounting hardware, wax ring and SmartFit™ Multi-Tool. No additional tools required. Rated 1 out of 5 by 1fish from Poor Flusher I have had this toilet for about 3 weeks and it has not yet been able to completely clear the bowl with one flush, it typically takes 2 or 3 flushes. I called delta and they responded that this is how this toilet functions as it is designed to be efficient and use less water per flush even though after 3 flushes it has used a lot more water. They said if I am unhappy with the unit the only option was to return it and that there is no way to modify it to work better. Thus it will be returned tomorrow and I will NOT be replacing it with another delta product. Rated 5 out of 5 by Redheaded11 from This was so easy to install! I am a single woman and needed a new toilet, so yesterday I purchased the Prelude elongated model and installed it with only help to lift and place into position! Directions were clear and easy to follow and I had NO leaks. It is quiet and fills rapidly and the low flow flush rally works well and will save me a lot of $$ on my metered water bill. Rated 4 out of 5 by Marker34 from A basement replacement The instruction to install were easy to follow. No leaks with the first flush.